Trees are some of the longest-lived organisms on the planet. At least 50 trees have been around for more than a millenium, but there may be countless other ancient trees that haven't been discovered yet. 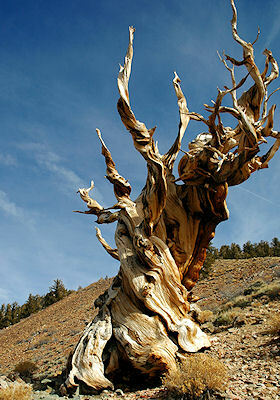 Some of the oldest trees on earth, the great bristlecone pines, don't seem to age like we do. At 3,000-plus years, these trees continue to grow just as vigorously as their 100-year-old counterparts. Some trees defy time by sending out clones, or genetically identical shoots, so that one trunk's demise doesn't spell the end for the organism. The giant colonies can have thousands of individual trunks, but share the same network of roots. Here's a gallery containing images of some of the oldest, most venerable and impressive trees on earth.